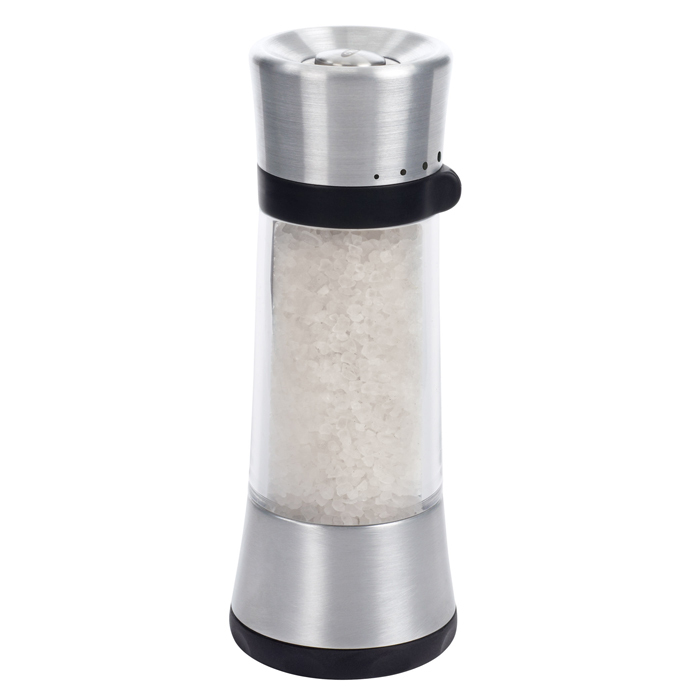 The OXO Good Grips Salt Mill are a stylish and functional way to season any meal. 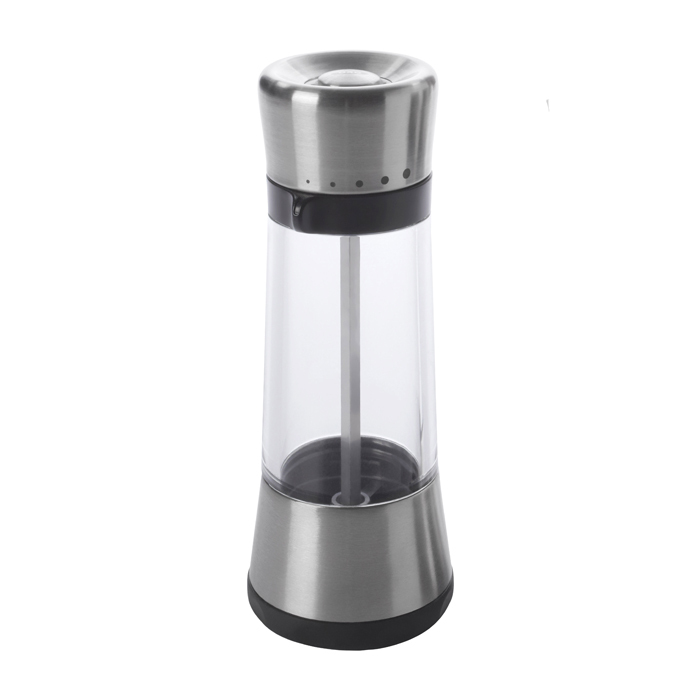 The tall, sleek design makes it perfect for both tabletop and kitchen use. The grind-selector locks into five different positions to easily adjust from fine to coarse grinds. 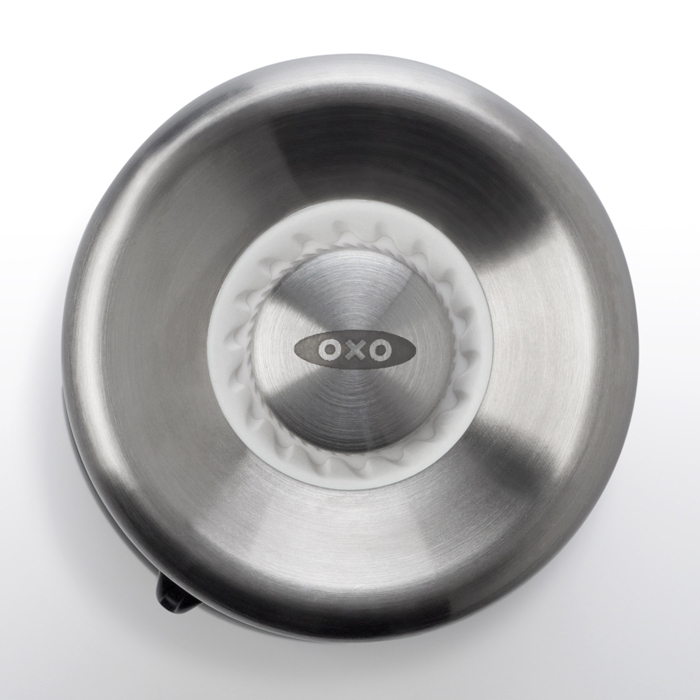 The top-grind design allows for mess-free storage, and the ceramic grinder won’t corrode or absorb flavors or odors. 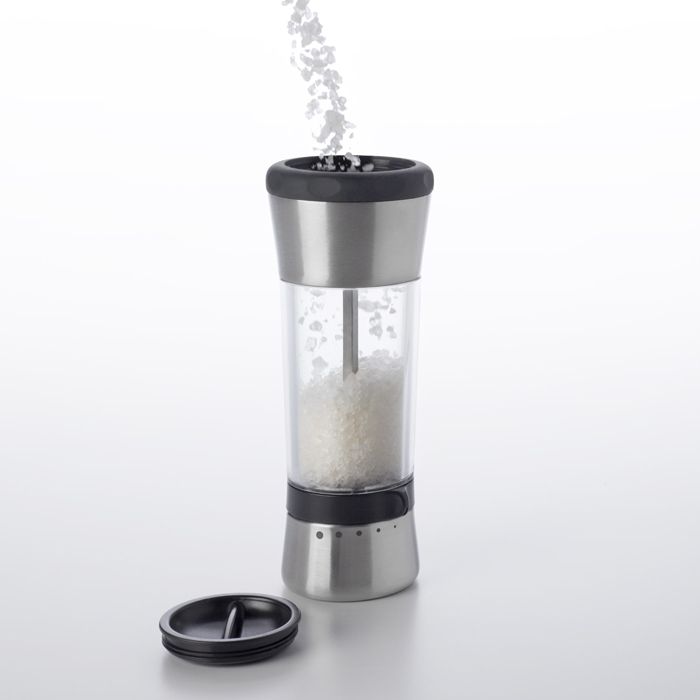 The Mill rest flat when upside down and feature a wide opening for easy refilling.